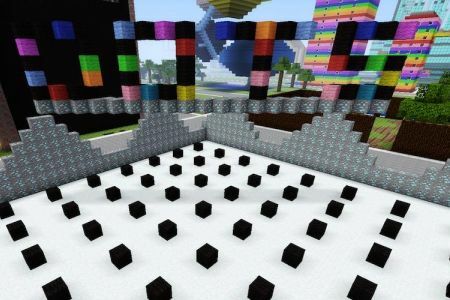 The Minecraft dots game is an old paper and pen game that easily translates to Minecraft, so you can play it with your friends. 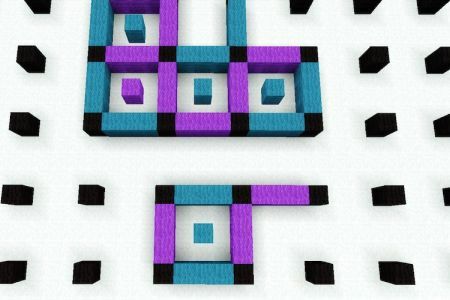 Dots is an old school game that can be played on Minecraft or using paper and a pen. 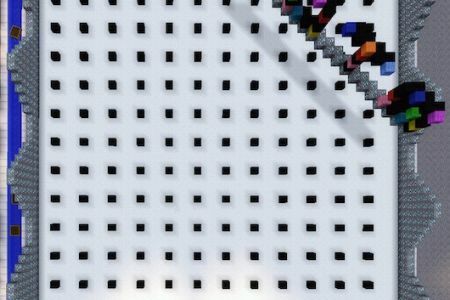 The map consists of a bunch of dots and each person takes turns drawing a line. Eventually you run out of lines and start to make full boxes. Whoever gets the most boxes wins the game. 2. 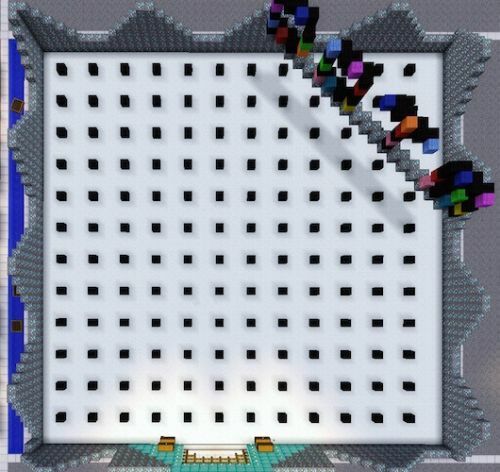 You will need at least 64 blocks for each player to draw their lines with, (probably more depending on how big your board is). 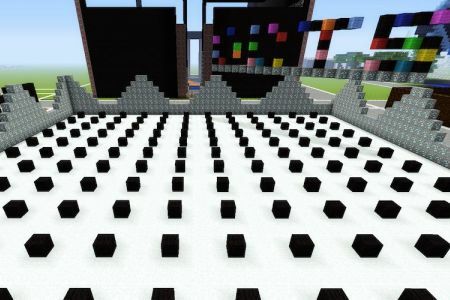 Use really different blocks like cobblestone and dirt so you can easily tally at the end. To make the board to play dots, you can make it as large or as small as you like. The larger you make it, the longer the game will go. I recommend a play area at least 46 blocks x 46 blocks for a decent game. 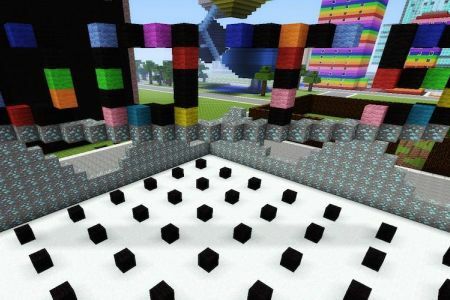 To make the play area, start by placing a black wool block for your “dots” (any colour or block will do, but the colour should be unique and won’t be used in any other way in the game. I think black blocks are best). Then traveling in a straight line, place another black block 4 blocks down, so there are 3 spaces in-between the black blocks. Continue to do this till you think your map is wide enough or until you reach 46th where you’ll place the last black block. 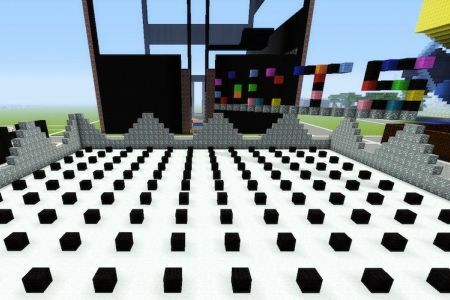 You will then need to repeat the process from your first black block going the opposite way. Count 3 blocks and then place another black block on the 4th. 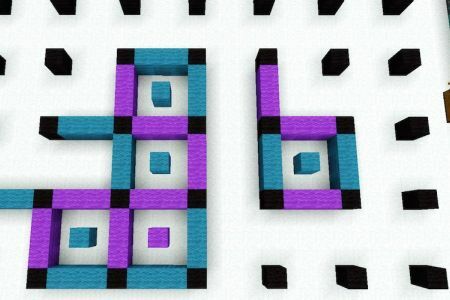 Repeat the pattern till you reach 46 blocks or as big as you’d like your map to be. Continue down the line until you have a map that resembles the photo. This map will create spaces large enough for you to lay down 3 blocks to make your line. When the last line is made whoever wins that space can place their colour in the middle space, claiming that as theirs for the tally at the end.